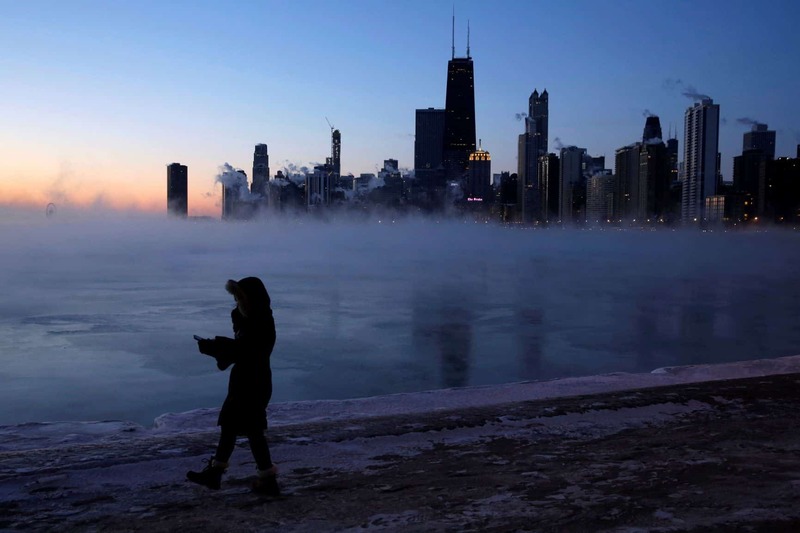 Before the worst of the cold begins to lift, the National Weather Service said Chicago could hit lows early Thursday that break the city’s record of minus 27 set on Jan. 20, 1985. Some nearby isolated areas could see temperatures as low as minus 40. That would break the Illinois record of minus 36, set in Congerville on Jan. 5, 1999. Chicago dropped to a low of around minus 23, slightly above the city’s lowest-ever reading of minus 27 from January 1985. Milwaukee had similar conditions. Minneapolis recorded minus 27. Sioux Falls, South Dakota, saw minus 25 (minus 31 Celsius). Wind chills reportedly made it feel like minus 50 or worse. Trains and buses in Chicago operated with few passengers. The hardiest commuters ventured out only after covering nearly every square inch of flesh against the extreme chill, which froze ice crystals on eyelashes and eyebrows in minutes.